What opportunities does a career in the photography industry provide? 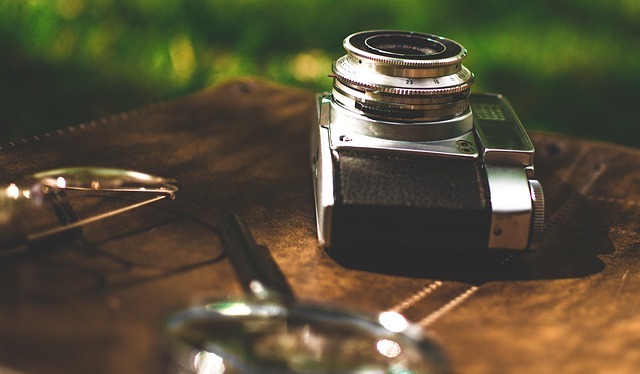 When you decide to take up a career as a photographer, you are likely to think that it is a relatively limited career, with only a few different paths to take. Of course, the majority of people decide to work as a wedding photographer, or perhaps in a studio, and whilst these are great ideas, they are certainly not the only ones. The great thin about becoming a photographer is that there really are a whole host of different career paths that you can go down. Not only this, but there are a wealth of opportunities open to you too, which means that it is an exciting and varied skill to have. Hi everyone My name is Joanna and I write at Joanna Victoria. I’m an Ultimate Bookworm, coffee and Netflix addict. 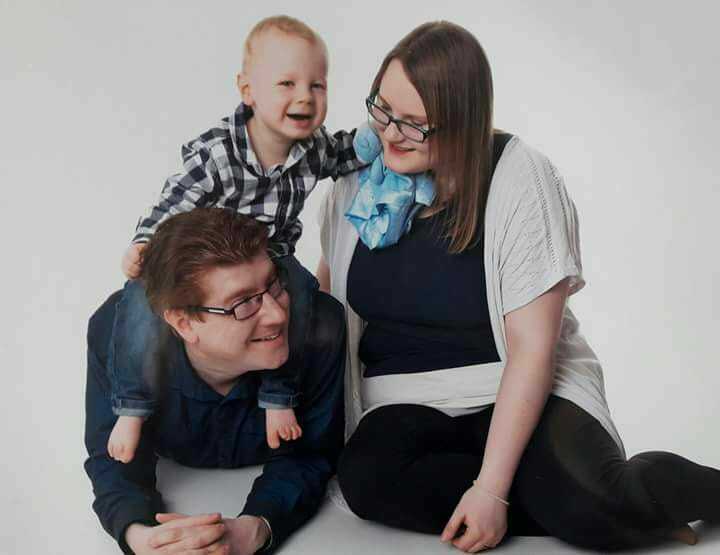 I’m also mummy to 3 year old Blake and wife to Stuart. We live in a small town in Bedfordshire. Thank you to Michaela for letting me take over her blog for today. Me time is often something us Mum’s rarely have as we spent most of our time focusing on the children. It's also something we feel guilty about when we actually do have a moment to ourselves. We definitely shouldn't though as its so important to focus on ourselves so we don't end up burning out. The garden can be a gold mine on your doorstep but with so few of us making the most of our gardens, take a look at five reasons why investing in your outdoor space, no matter how small, could bring a return on investment. Did you know that it is estimated that one in four pregnancies in the UK end in miscarriage? * Also, in 2016 one in every 225 births ended in still birth in the UK*. Miscarriage and still birth are heartbreaking and devastating moments for every couple trying to conceive. Fortunately, for many lucky families the storm goes away and the rainbow comes in the form of a healthy “rainbow baby.” However, there are many women who keep experiencing recurrent miscarriages and are struggling to carry to term. Recurrent miscarriage is defined as having three or more miscarriages in a row. The problem touches approx. one in a hundred British women. What are the causes? Tomorrow sees us go abroad for the first time as a family of 5 and coming with that is the trials and tribulations of getting 3 children, a husband and a lot of cases on and off planes whilst keeping a sane head. 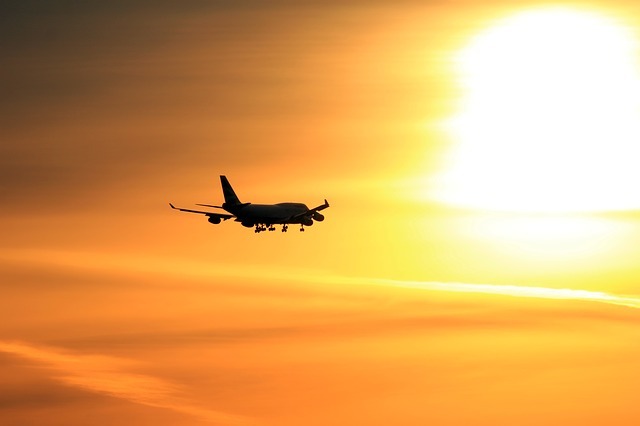 When it comes to going abroad, I think there are a few items that are essentials to make sure you have the best time possible. 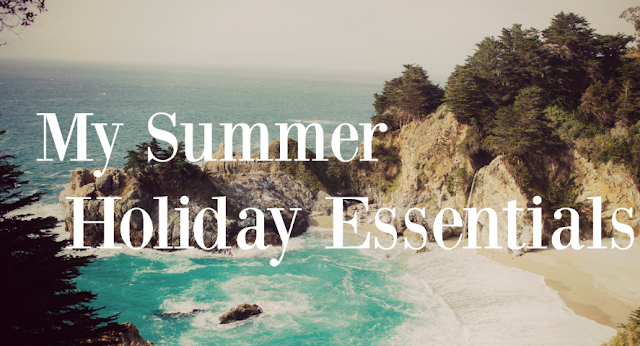 So, here is my list of summer holiday essentials for adults... And make sure you keep an eye on my social channels over the next few weeks for photos of some of these items in all their glory, out in the sun. Trying to photograph big items out of place means some of these will be better when chilling by the pool! I love shopping at supermarkets as most nowadays give you the option of buying your groceries, whilst filling your trolley with goods that didn't used to be available in supermarkets. Aldi are great for this - each week they have a new Specialbuy event with deals from home and garden to cars and hobbies. The Aldi Baby and Toddler Specialbuy Event is on this week and, as always, they have an amazing selection of products for little ones ranging from bedroom furniture to books, feeding time to bath time and loads more, all available at Aldi’s everyday amazing low prices. What Should You Eat For A Healthy Smile? In the era of social media, Instagram pictures and selfies, everybody wants to look gorgeous and have a Hollywood smile. You might agree that a photo of an individual with neglected or missing teeth can make the poster self-conscious. Eating right is one of the building blocks to a healthier lifestyle and feeling great. As a parent, it’s also essential to keep your energy levels in tiptop condition for running after your little ones all day. While coffee is probably the go-to for most people looking for that pick me up, in fact, making some small changes can have positive effects on your mood, stress levels and body. Keeping active and eating a well-balanced diet is something that we’re bombarded with on a daily basis but for a busy parent, that can be easier said than done. By incorporating some little changes into your diet and making some time to do a little exercise, even if it’s just ten minutes, can help to boost your health in many ways. You're allowed to take shortcuts in life, especially if they make your house pretty. Bedroom decorating is always a hot topic and no matter how big or small your bedroom, making your bedroom soothing and interesting, while maximising your storage and still looking elegant and decorative is a challenge. Updating The Kids Room On A Budget - It Can Be Done! Like many mums, we’re working on a budget. So, when it comes to redecorating the kids room or just thinking of a few updates, the cost can quickly add up. So, we’ve come up with a few wallet-friendly ideas of how you can update your kids rooms without breaking a sweat or the bank! As someone who works out a lot and tries to eat, mostly, well - it can be disheartening sometimes when there are certain parts of my body that I just cannot seem to lose. No matter how I change up my routines, and push myself at the gym even more, my excess baggage in the tummy area just wont shift. It's my 'mummy pouch', the 'mum tum', the bit around my waist that held my boys for so long but now just holds an inner emptiness of self-consciousness. The reason that I dread going swimming, that I'm dreading our holiday, and why I hate looking in the mirror - because no matter what I do, it's always there. Isn't it weird, that as women, even before we step foot on our holiday, we have to prep. I mean, I'm not usually someone who focuses on their appearance too much - contour and dark eyebrows are lost on me, but before a holiday, I seem to take on this new persona whereby I have to get myself prepped for the trip. It's not so much a fad diet, or bikini body, I've learned that having a bikini body just means having a body and wearing a bikini. But just those beauty regimes to give your skin, hair and body a boost. Not only to make you feel better about the skin you're in, but giving your body a good going over can protect your very skin from the sun and the effects. 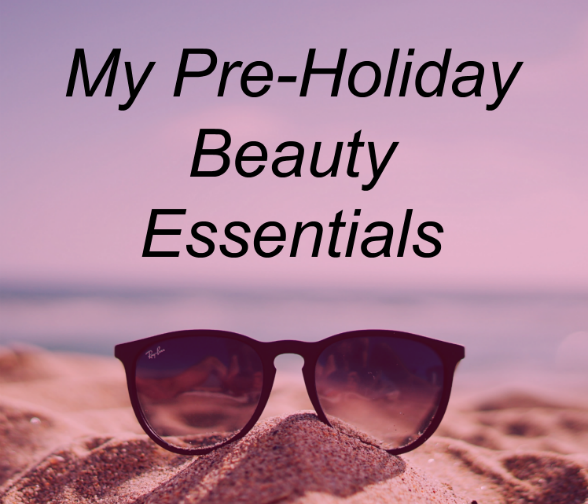 So, here are my Pre-Holiday Beauty Essentials that I've been using on the run up to our holiday in a couple of weeks. This year, we are looking to start travelling more as a family, trying to venture further afield than the UK to explore the World and our surroundings. To show the children the amazing sights, the beautiful cultures of other countries and give them those experiences to grow up with. In a fortnight we start our first step onto this journey with a short haul travelling to Spain so we can gauge how the boys react to flying. C suffers with anxiety so this will be a big moment to see what he'll be like as a flyer. When it comes to being a parent, your priority will always, naturally, be your children. Their happiness, their well-being, their education, and their security. One of the aspects of this is providing them with a stable home, and to do so, you need financial stability. Having a second income can grant you this stability and can give you money every month that you can either use to further your investments, can put into your children’s education fund, retirement, or simply save for a rainy day. One of the best ways you can do this as a parent is to invest in the property market. When you do this, of course, you will need to know all that you can about property insurance for first time landlords. You don’t want to make a mistake that could cost you. There’s nothing better than climbing into bed after a long day of chasing after the kids. As parents we certainly learn to appreciate the little things in life! 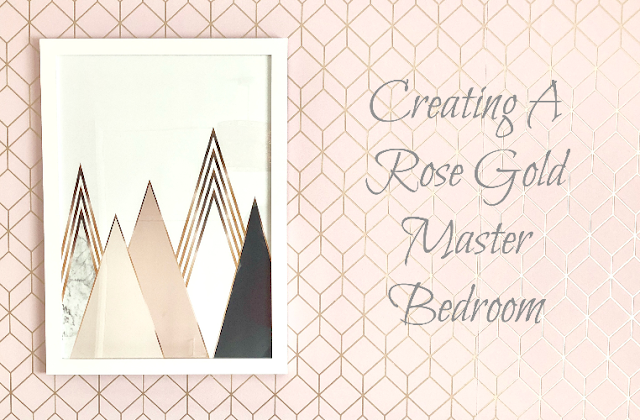 Being a busy mum it’s easy to forget that the bedroom can be so much more than just somewhere you flop every evening. With that in mind, here you’ll find a few quick and simple ways you can turn your night time nest into a calming, stylish and beautiful room that’s not just for sleeping – it’s just for you! We've slowly been getting round to updating the decor in our house lately. It started last month when I wrote about how we created a silver and grey livingroom, and now we've gone upstairs to the next lot of rooms. The master bedroom in our house was in dire need of updating. It has been dark purple since we moved in and it made the room look so dark and dreary. I've always dreamt of having a bedroom that is relaxing but luxurious, and has the design that looks bold but serine at the same time. A few days ago I wrote about how we'd been Creating A Boys Bedroom That Will Grow With The Ages and the VonHaus single pine bed was a part of that post. I wanted to write a little more about why I chose this bed as the single one for this bedroom. The VonHaus single pine bed comes in white and gives an update to the bedroom so that J can sleep in style in this popular shaker style bed. I adore this style of bed and luckily this one comes in different sizes so that even adults could have this gorgeous bed also.